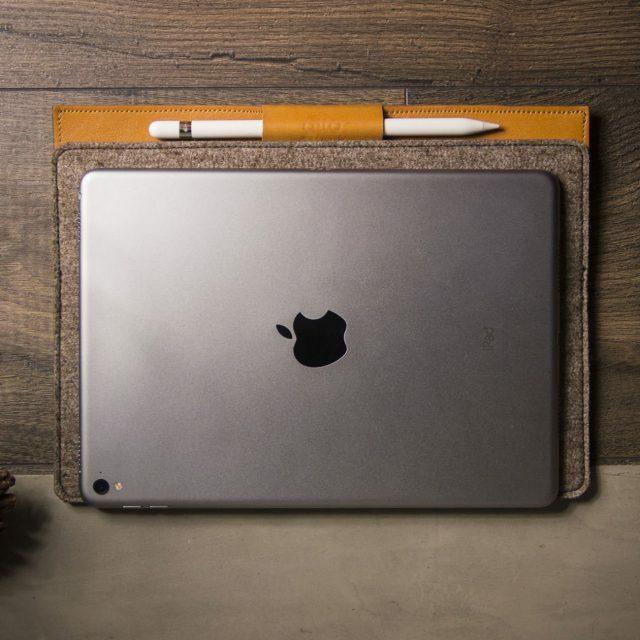 There is a strap to accommodate Apple Pencil, and it can be an iPad stand. 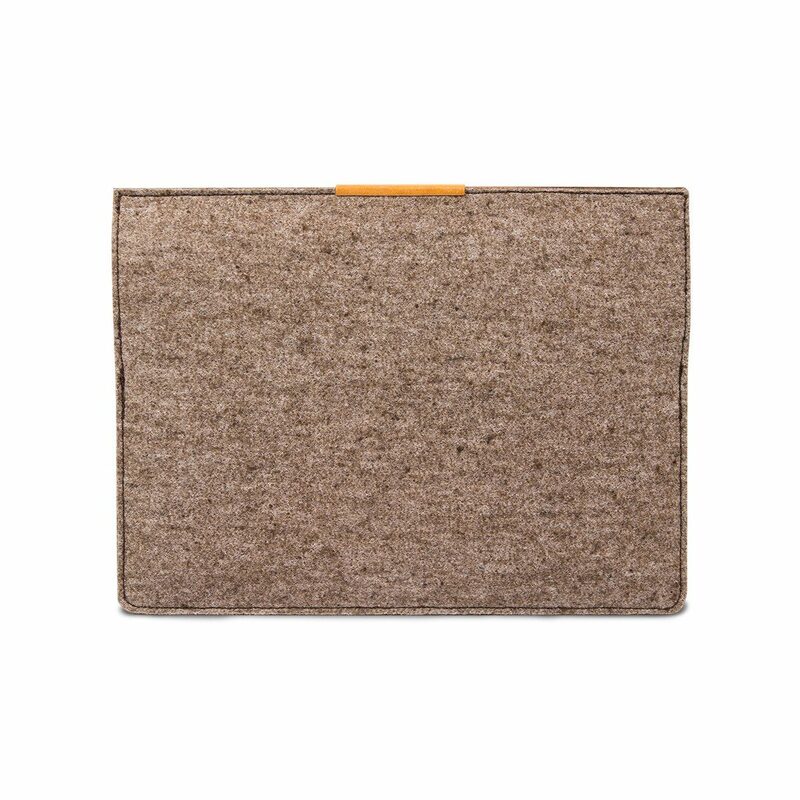 An open cut for the headphone jack. 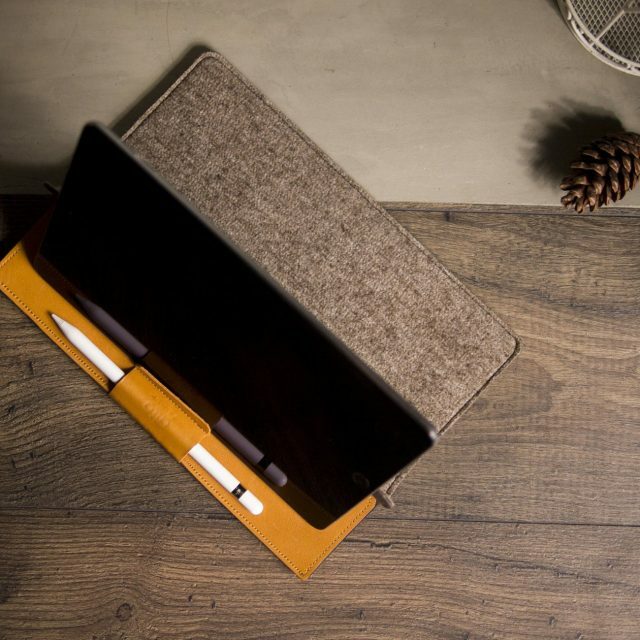 Both your iPad and its protective case can be accommodated. 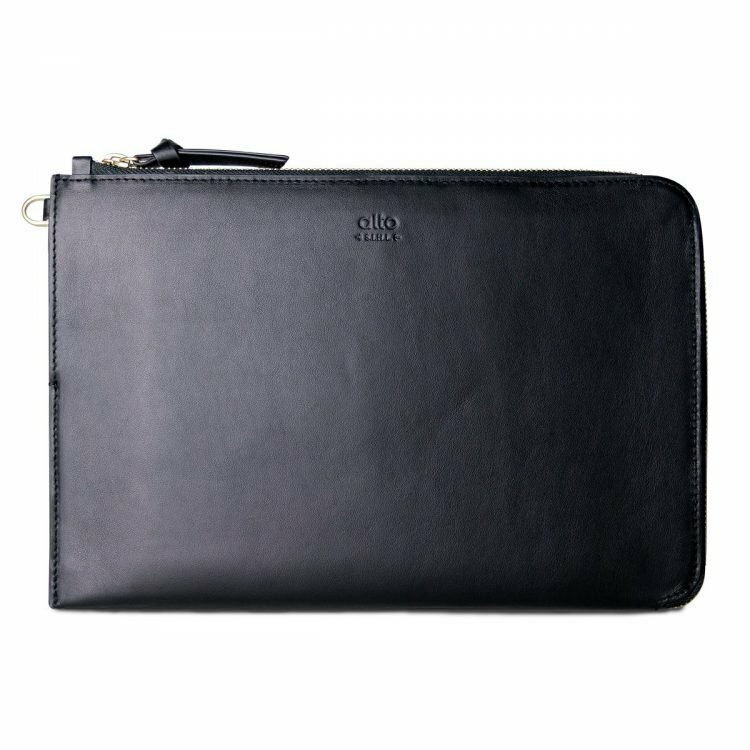 It is suitable for both iPad Air 2, iPad Pro 9.7″ & 10.5″. 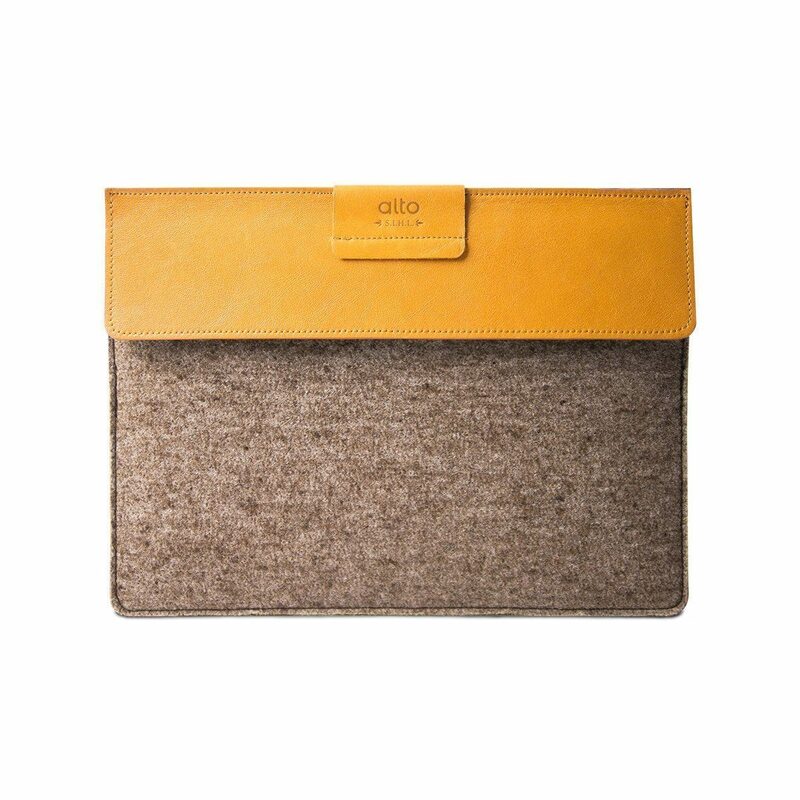 Customized Italian leather/mixed felt/ high-quality micro-fiber. 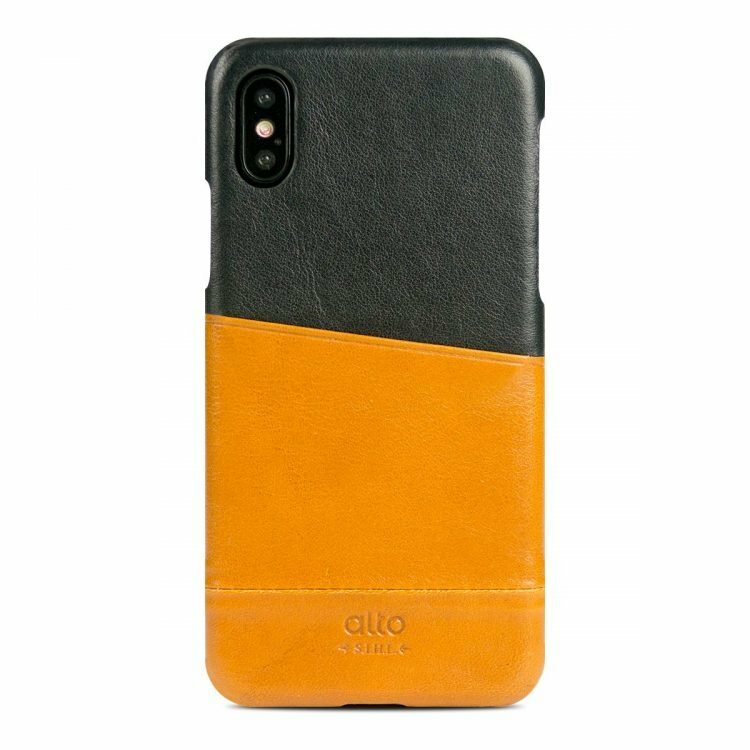 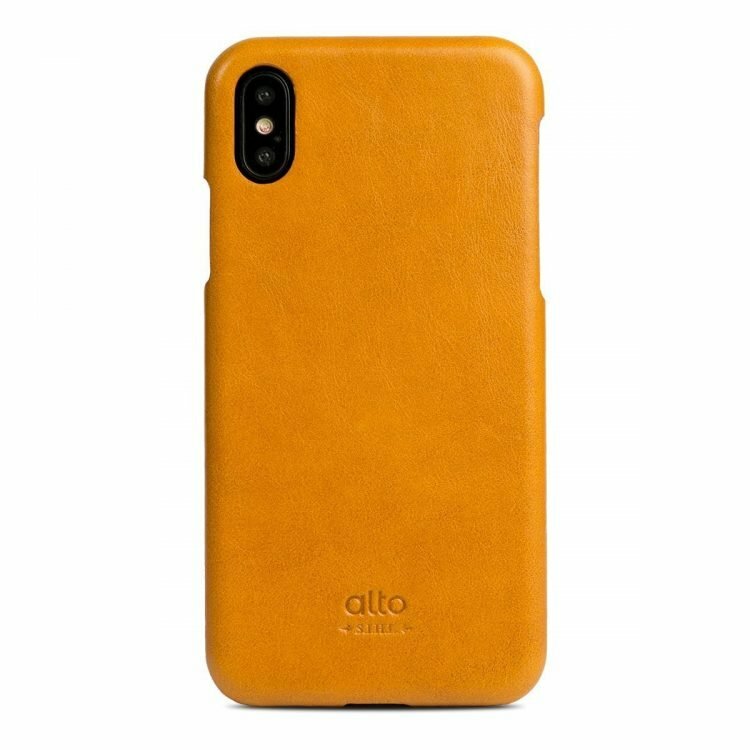 Along with the soft coat made of delicate micro-fiber, you can experience the complete protection brought by leather and felt for your gadget. 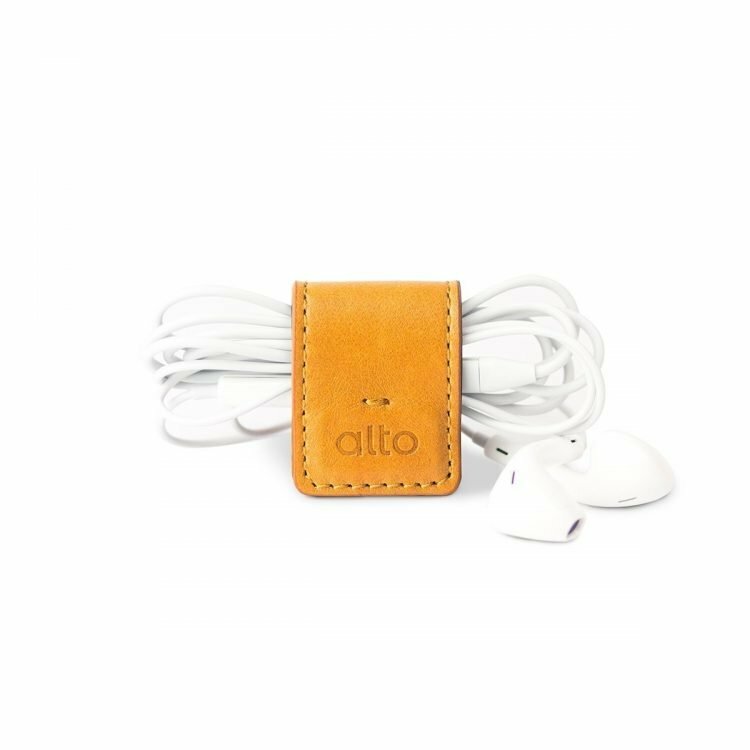 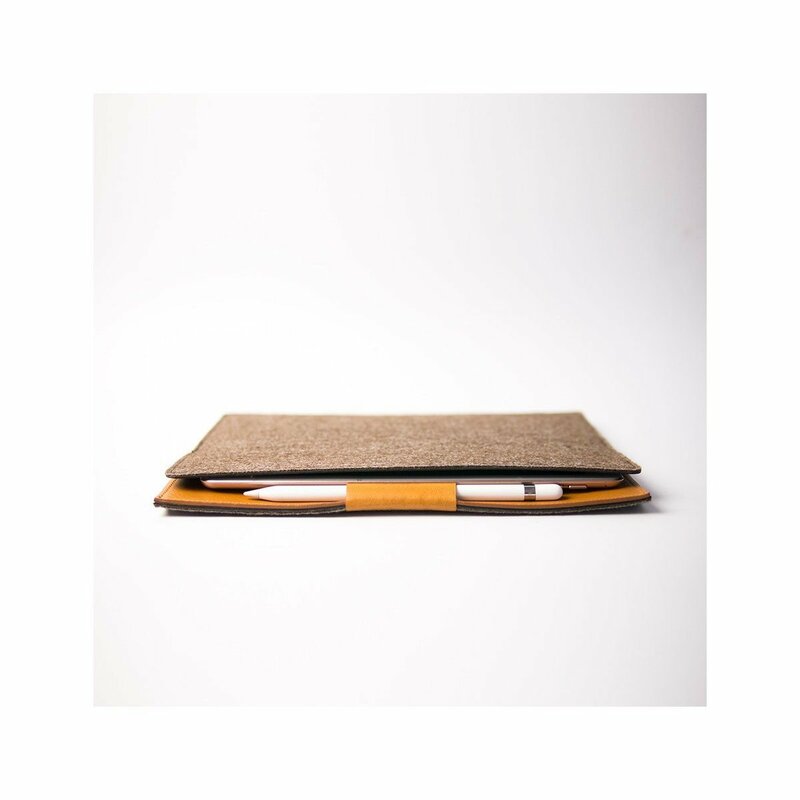 Marked with the brand, the leather strap provides your Apple Pencil a perfect place to be accommodated. 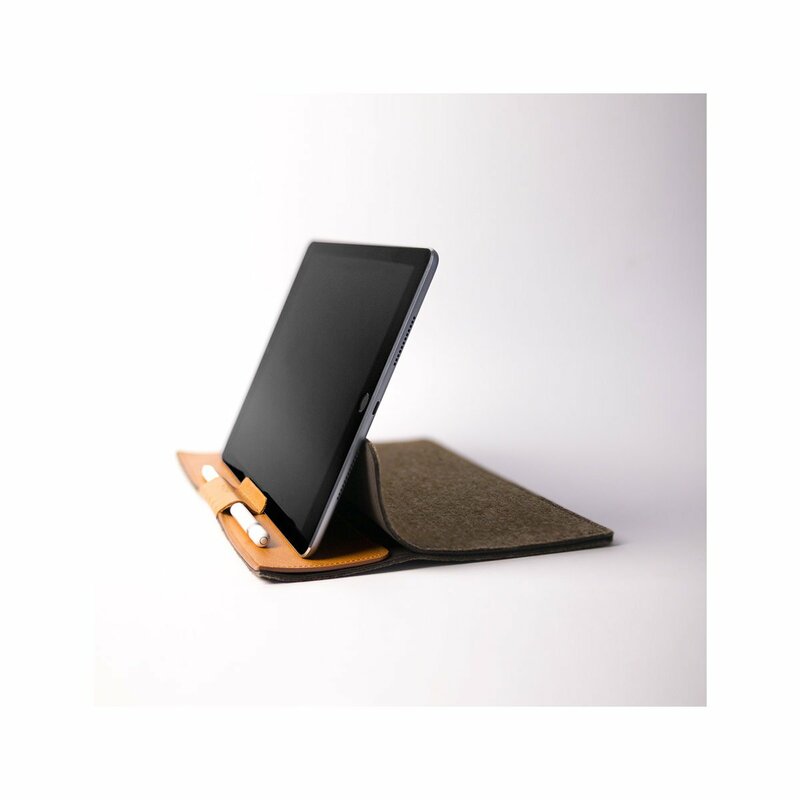 Working together with the strap, the leather sleeve can also be an iPad stand when you watch videos. 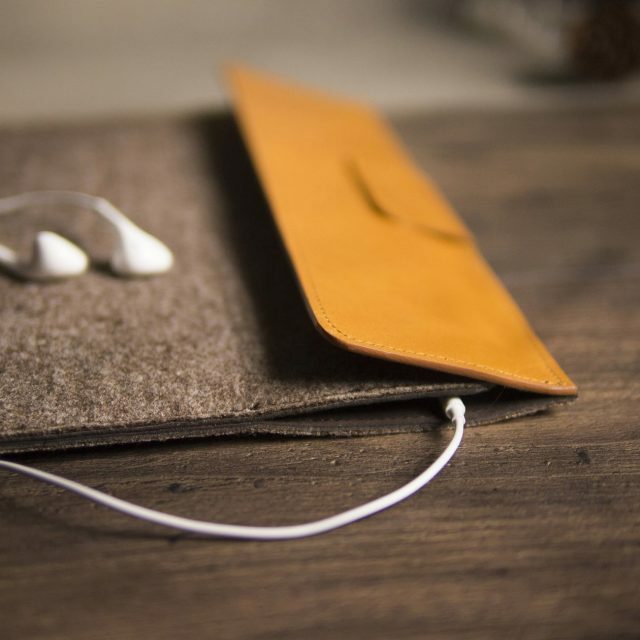 An open cut for headphone jack enables listening to music while moving. 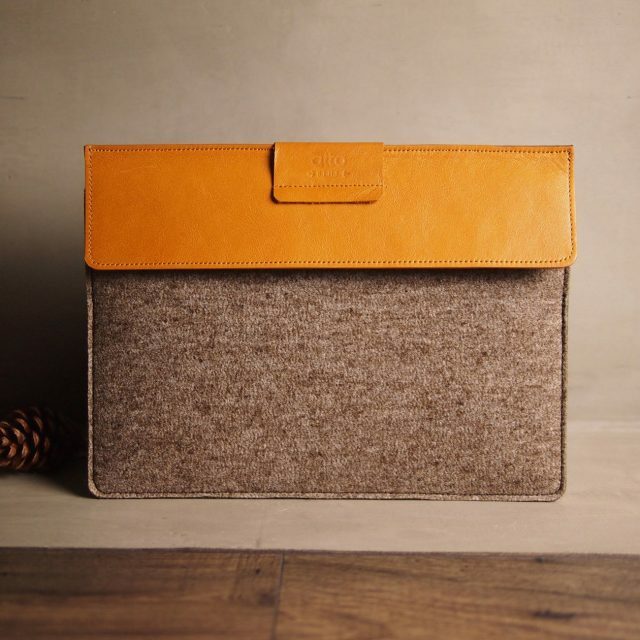 Being simple, light and delicate, it satisfies all your demands elegantly. 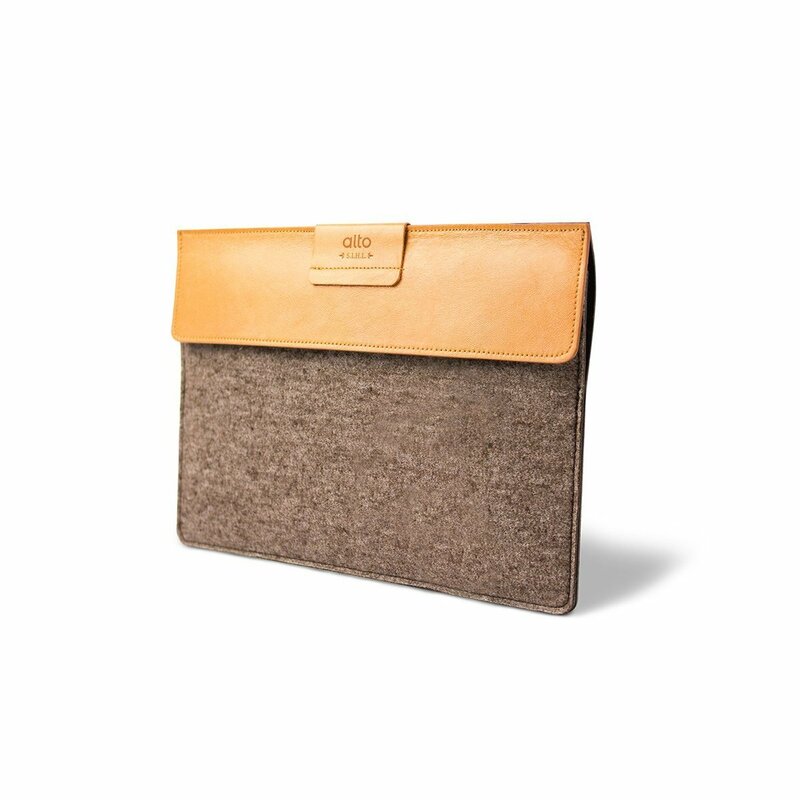 This Sleeve is crafted out of high-quality full-grain leather and manufactured with care. 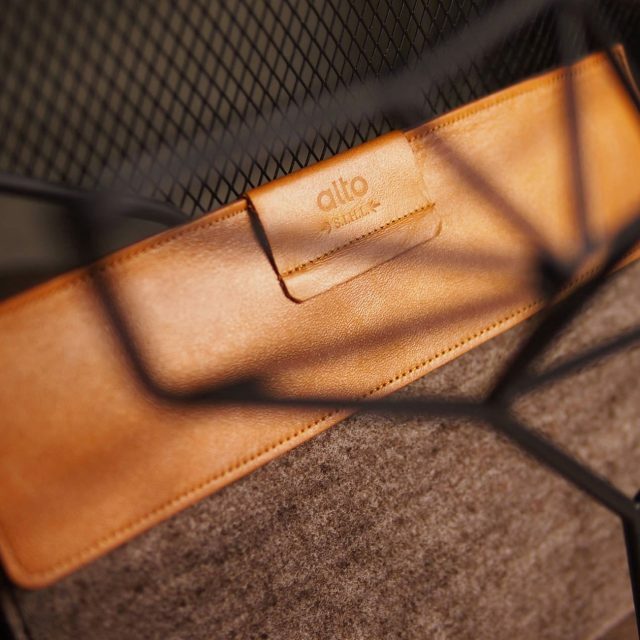 Combines with leather and felted wool give you a light, elegance experience. 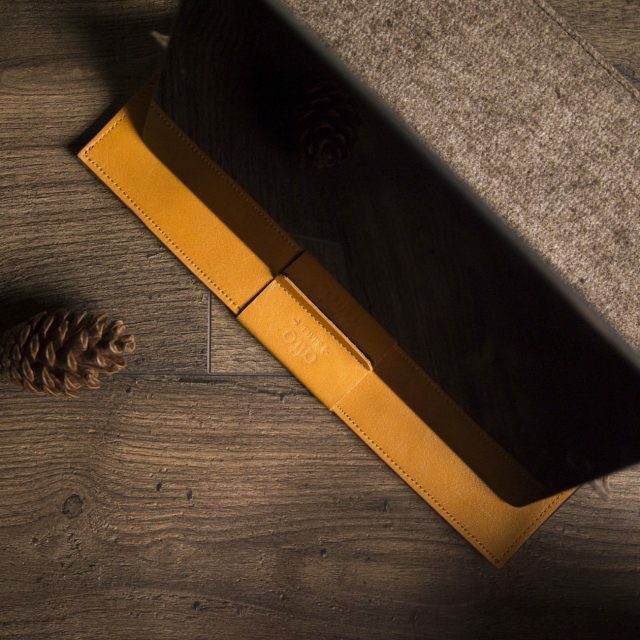 Microfiber inside prevents your device scratch and gives you a soft gentle touch.